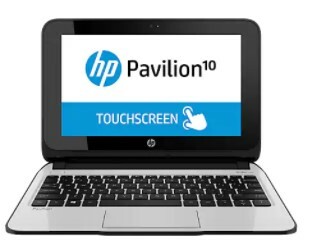 HP Pavilion 10 Touch 10-e000 Notebook PC - This file is a driver for HP Pavilion 10 Touch 10-e000 Notebook PC, Download driver for Windows 10, Windows 8.1, Windows 8, and Windows 7. We are here ready to help you to find more information about the full feature software and drivers packages. Please select the appropriate drivers for your device operating system. Description: This package contains the driver installation package for the Realtek RTL8723BE/RTL8188EE wireless LAN Controller in the supported models running a supported operating system. Description: This package provides the ENERGY STAR Qualified Power Plan for supported notebook models running supported operating systems. ENERGY STAR is a program to promote superior energy efficiency. This package provides ENERGY STAR compliant power options and also provides a link to the ENERGY STAR website. Description: This package contains the driver installation package for theMediatek Bluetooth in the supported notebook models running asupported operating system. Description: This package provides the HP AC Power Control Utility for the supported notebook models running a supported operating system. The HP AC Power Control Utility provides an easy way to switch the AC Power Control On or Off and to set the Peak Shift time schedule. Description: This package provides the Touch Panel Controller firmware forsupported notebook models running a supported operating system.